1982: Founded in Ikeda-city, Osaka-prefecture, Japan as an automotive parts manufacturer with an initial capital investment of 2,000,000 yen. Released strengthened suspension components, metal clutch disc, and flywheel. 1983: /increased capital investment by 5,000,000 yen and released more strengthened suspension components for aftermarket application. 1985: Introduced the Kepler clutch disc, performance oil cooler, and Limit Sports exhaust system. 1987: Purchased land to construct main headquarters in Nishishoji Minoo, Osaka. 1988: Moved into the new headquarters at Nishishoji Minoo, Osaka. Released strut tower bar. 1989: Japanese Automotive Sports Muffler Association (JASMA) founded, initial member of JASMA. Released JASMA certified exhaust systems that meet strict standards for passing car inspections. 1989: /increased the total capital investment to 10,000,000 yen. Released the Halt Barth series of shock absorbers (for European automobiles). 1991: Shiga factory construction completed. Began production of exhaust systems that pass the strict annual automotive inspections in Japan. Purchased new land to construct a larger headquarters in Higashionohara Minoo, Osaka. 1992: Moved the main office to Onohara Higashi Minoo-shi, Osaka (present location). Released stabilizer bars (anti-sway bars). 1993: /increased total capital investment to 15,000,000 yen. Released stainless steel exhaust manifold and air suspension tuning kit. 1994: Sponsored an N1 endurance race team. Released Sustec Dampers, G Power Medalion exhaust systems, and Hyper Medalion exhaust systems. 1996: Released DTM Medalion exhaust system (European Automotive oriented). 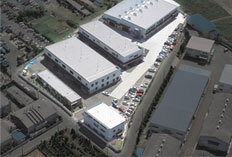 Began construction of the new factory in Shiga and moved into the new factory on October of the same year. /increased total capital investment to 30,000,000 yen. 1998: Released Sustec Pro S-O and Racing Medalion exhaust system. 1999: Started construction of the second Shiga factory acquisition to meet ISO9001 standards for certification. Released Racing Wagon exhaust system, Hyper Wagon exhaust system, Under Brace, and G-Tec Brand of suspension components. 2000: /increased the total capital investment to 60,000,000 yen. Purchased advanced laser cutting equipment and introduced into the manufacturing processes for Tanabe products. 2001: Purchased state-of-the-art German machinery for spring coil production. Began production of 2100 N/m tensile strength spring coils. 2002: Released Sustec Pro Air Cobra hybrid coilover suspension system. 2003: Released Sustec NF210 and GF210 series springs. Tanabe USA Inc., /inc established in Torrance, California, USA. 2005: Aquired Speed Star Racing Wheel Co.